Bacchus has surprisingly never been on my radar and I'm not sure if it's just because it's so hidden and underrated or if I'm just not their target customer. Bacchus operates under downtown's luxury boutique hotel, Wedgewood Hotel and regularly awarded for being the city's best lounge/bar. That is to no surprise especially after my most recent visit a while ago when I had the chance to dine here thanks to my Dine Out Vancouver 2014 grand prize. 4.5/5 - Very delicate and savory bites of flavour. I love how so much texture and flavour can be packed inside such small bites. 5/5 - I loved how the tartar didn't take away from the freshness of the ahi tuna. 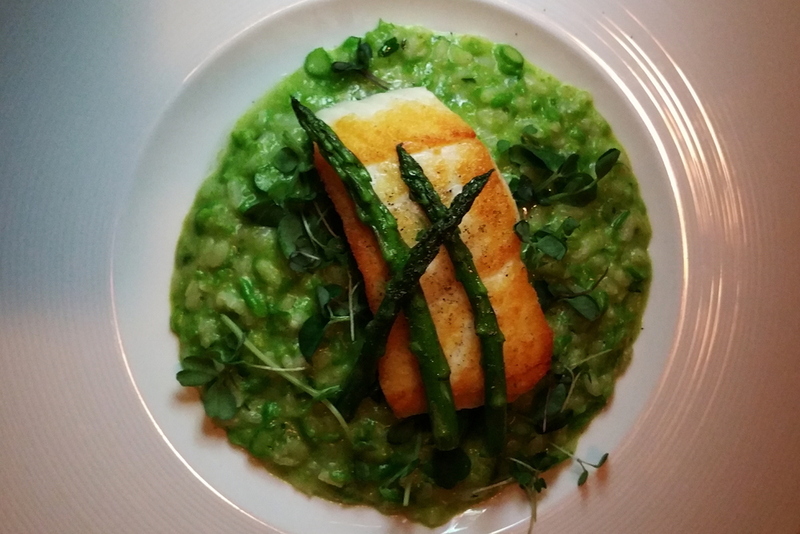 The smooth texture of the fish was still evident and actually highlighted with the greens on top. This refreshing appetizer is a great start to the meal and appropriately accompanied with some crispy crackers. 5/5 - This lamb is amazing - incredibly velvety and cooked to a perfect medium rare. The quality of the lamb and cooking technique shines through as there is a good balance of fat and juicy meat. I could still taste the natural juices of the lamb as well as the deeply flavoured sauce. And of course, nothing is better than a perfectly cooked rack of lamb seasoned with rosemary and paired with simple vegetables. If you're a lamb lover, you'd be missing out if you didn't order this. 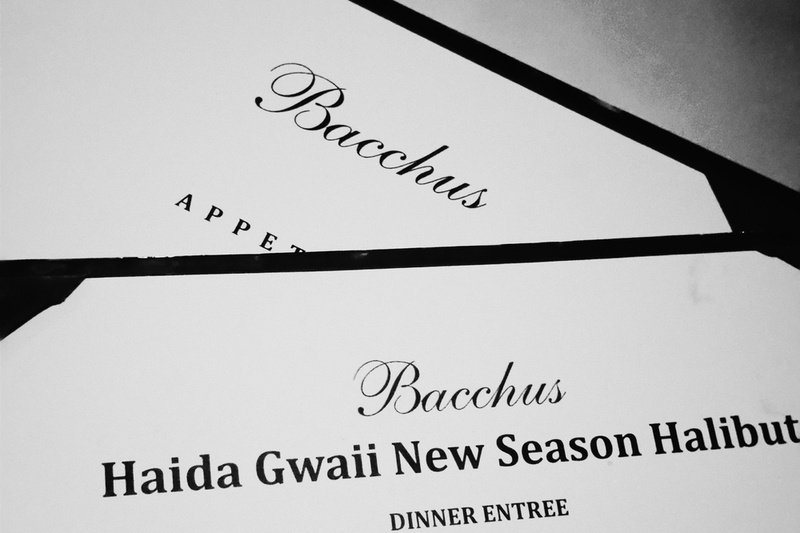 2.5/5 - This was the Saturday special of Bacchus' Haida Gwaii New Season Halibut limited-time menu. I like trying seasonal specials and this one was no excuse. I'm also quite fond of halibut so I was undeniably excited about this dish and unfortunately I was left more or so unsatisfied with this dish. It's a nice cut of fish but it was overcooked to the point of being dry inside and out and the green mush underneath was bland and unappealingly mushy. I'm not sure if the congee consistency was what they were going for but I didn't like it. The halibut special is a nice concept to bring attention to local options but I'm almost glad that it's only a limited item. 5/5 - This was actually a recommendation by our server which took me by surprise from how much I like it. A wonderful citrus-y and creamy tart with a delightful creme brulee sugar crust. I initially thought the raspberry sorbetto would be too overwhelming for an already citrus/tarte heavy tart but I actually enjoyed it as the tart itself turned out to be sweeter than I expected. 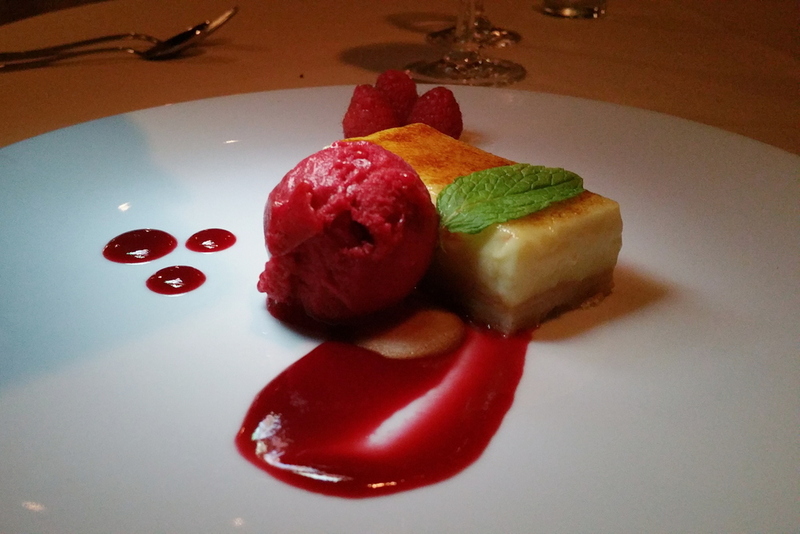 A delicate dessert worth mentioning. Bacchus is really on the finer side of Vancouver dining and aside from the halibut, I found my whole dining experience to be well above par. Surprisingly, the range of diners is diverse and you can find people in suits/dresses beside people in shorts/t-shirts. For that reason, although the restaurant setting is very classy and elegant, there is no real pressure to dress like you're celebrating a huge milestone. The food is simple but paired with appropriate ingredients and cooked in a way that complements all the flavours on the plate. The service is no short of excellence -our multiple servers were available at all the right times, friendly, very polite, and provided us with great food and wine recommendations (sidenote: I recommend the Simonnet-Febvre Rosé Brut from Burgundy @ 19.50 /6oz if you're looking for a nice, affordable sparkling wine). Bacchus is a very worthwhile restaurant to visit if you're up for the price tag.